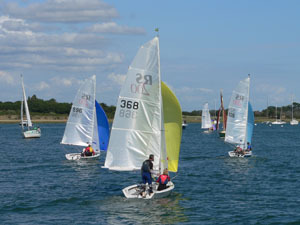 All the information needed for sailors and users of Chichester Harbour. 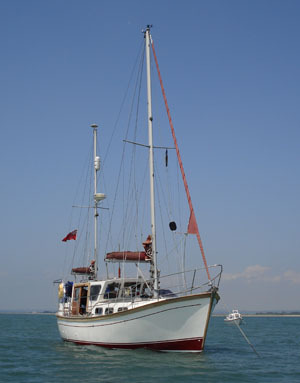 Includes anchorages, public jetties, launching information, weather and tides. When at anchor vessels must display a black ball during the day and an anchor light at night. Anchoring is prohibited in or near mooring areas or in the vicinity of navigation and racing marks. Vessels are not to anchor in the centre of channels and are to exhibit a black ball or white light. Vessels are not to be left unmanned at anchor for periods of more than four hours (Byelaw No. 12)(LNTM 4/00). There is a pay and display car park at Itchenor where trailers can be left and long stay is permitted. For information and charges please see the Itchenor car park page. Reduce speed and give a wide berth to vessels flying International 'OQ' (red/yellow over yellow) - compass adjusting; 'A' (blue and white) - diving operations; 'RY' (yellow cross on red over red and yellow diagonal stripes) - harbour maintenance; a black ball, diamond, ball, hoisted vertically - a vessel restricted in her ability to manoeuvre. Fuel and packaged lubricants may be obtained at Chichester Yacht Basin, Birdham Pool, Northney Marina, Sparkes Marina, Emsworth Yacht Harbour and some garages and chandlers at Emsworth. Emsworth Jetty is available for 3.5 hours each side of high water, neap tides (assuming 1.0m draught). Waiting is restricted to 2 hours. 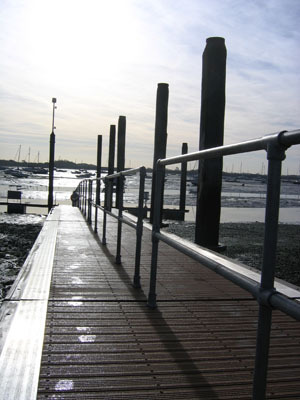 Itchenor Jetty is available at all states of the tide with a depth of approximately 2m at mean low water springs. Fresh water is available along with a free pump-out station. Waiting is limited to 20 minutes only because of congestion and maintaining access for the emergency services. Please note that water from the jetties is not to be used for washing vessels. An overstay penalty of £30+VAT per hour, or part thereof, is payable by vessels exceeding the jetty waiting limits. Vessels can be launched at the Conservancy slipways at Itchenor at any state of tide (charges apply) or at the bottom of South Street in Emsworth at high water (no charge). For launching at a marina or boatyard, please contact the premises directly. Scrubbing Piles are available at Itchenor and Emsworth. These should be booked through the Harbour Office, Itchenor at a cost of £18.00 per workable low tide. Three showers for yachtsmen have been installed at the Harbour Office, Itchenor. Tokens for their use are available from the Harbour Office, the patrol staff or the Itchenor ferry. Sailors should be aware of the strong tides in the Harbour entrance. The flood tide may run at 2.8 knots and the ebb tide at a rate of 6.4 knots at Springs, which can be dangerous for the inexperienced. Tide times are available for the next seven days. For visitors moorings, please see the information on the Visiting Vessels page. By telephone: Weathercall recorded forecast for Mid Channel 09068 226 457. Detailed local weather information on the area 'Chichester Harbour and Eastern Solent' is displayed at the Harbour Offices at Itchenor and Emsworth. BBC Radio Forecasts (times are correct at time of printing but please see Radio Times for latest information): Radio 4 LW 198Khz, Shipping forecasts - 0048, 0535, 1201 and 1754 hours daily. Shipping forecasts and gale/strong wind warnings are announced by HM Coastguard on Channel 16 and broadcast on Channel 10 every four hours at 40 mins past the even hour from 0040 to 2040 UTC. These are repeated when gale/strong wind warnings are in force every two hours. Forecasts may be interrupted during casualty situations. Real time wind, wave and temperature is available from weather stations in and near Chichester Harbour. This information is also displayed outside the Harbour Office at Itchenor. Facilities for yachtsmen's landed waste are provided at all main landing points around the Harbour. Many provide facilities to dispose of glass, paper, card, plastic bottles, tins and oil. We strongly encourage yachtsmen to separate their waste and make full use of the recycling facilities. 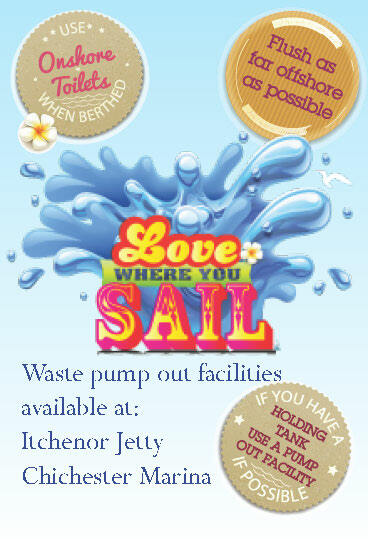 A free pump-out station can be found at Itchenor public jetty. Visit our Waste Management Page for further information on waste management in the Harbour. 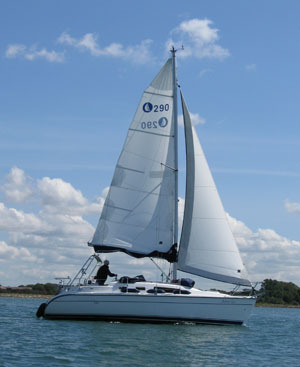 The Green Blue's 'Love Where You Sail' initiative is in partnership with the Environment Agency and local harbours and marinas in the Solent area. The Solent, including the surrounding harbours and estuaries, is a hive of activity for both people and wildlife. Alongside cruise ships, naval destroyers and container ships, there is a thriving tourism industry, estimated to be worth £1/2 billion per annum to the Isle of Wight economy alone. The area boasts unique habitats and species, protected by environmental designations. Few are aware that 90% of this area is also protected for the production and harvesting of cockles, clams, mussels and oysters. Whether we come to the Solent to enjoy the sailing, the 20 designated bathing beaches, the wildlife or the locally sourced shellfish, we all have a stake in the quality of its waters. Water quality has improved following decades of investment. Since 1990, Southern Water has upgraded waste water treatment at 16 sites around the Solent, reducing the impact of discharges from over a million of their customers. Natural England, the Environment Agency, Portsmouth Water and others have worked with land owners here for over a decade. Advisory visits have encouraged improved land management to reduce the runoff of pollutants following heavy rain. This work continues, but we each have a role to play in protecting water quality and ensuring the Solent is a place we can all enjoy. If you are spending time aboard, please make the most of onshore facilities before you leave. If you have a holding tank take advantage of the 9 pump out facilities available in the area. In Chichester Harbour there is a free pump out facility at Itchenor Jetty which we encourage you to use and if you have any questions about how to use it, then call the Harbour patrol on VHF channel 14. If not, flush as far offshore as possible (the recommendation is 3 miles). 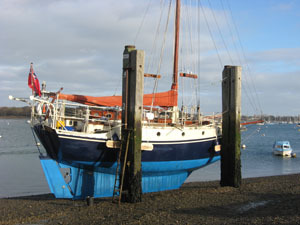 For more information visit thegreenblue.org.uk or speak to your local harbour or marina. Finally, if you spot evidence of pollution, please note the time and location and call the Environment Agency Incident Hotline on 0800 80 70 60.